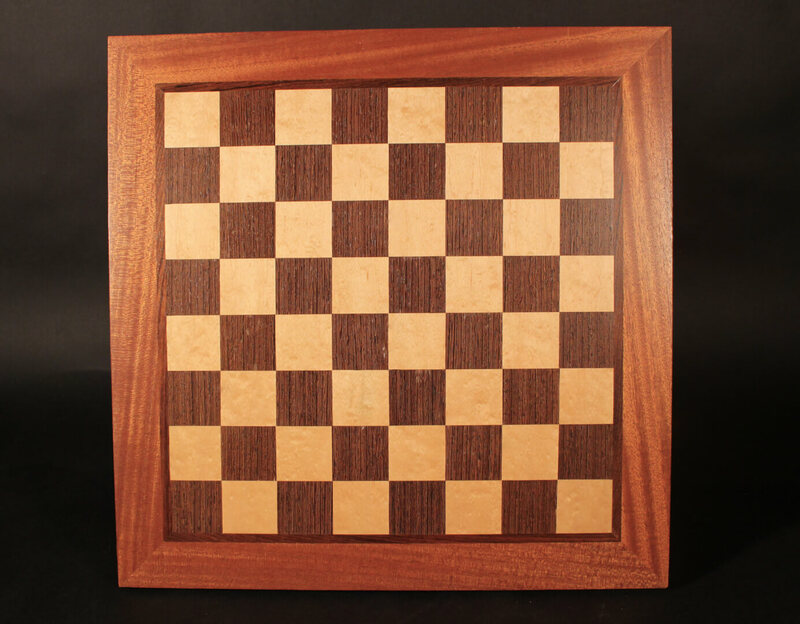 A chess board made to illustrate the method used for a woodworking seminar at the traveling Woodworking Show where I taught for the better part of twenty years. Made of mahogany, figured maple, wenge and pau ferro. An exercise in veneering.